> I usually pay little heed to a band’s name. Atari Teenage Riot, for example, is truly ridiculous, though frankly, ATR fans were too busy getting mental with the thrash/punk/d’n’b/speed-metal insanity to ponder the minutiae of the band’s moniker. So if the name ‘Ninjastep’ seems a bit… daft and rubs me up the wrong way, who cares? And if the band members are actual ninjas, then all is wholeheartedly forgiven (and please don’t silently slice me up in my sleep). 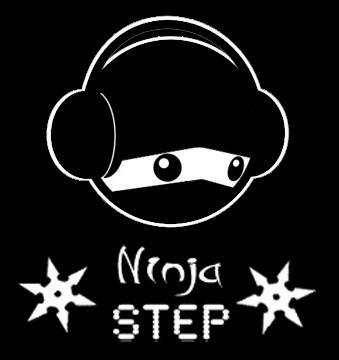 Ninjastep have forced a selection of sounds together that are often incompatible, and present to us, the endlessly bewildered listener, with bass-heavy, slow-beat songs that are too tough for ‘chillout’ (yuk) and not fast enough to disappear into the ever-present miasma of mentalist dubstep. See Blow Me as proof: a song cobbled together from strange found-sound vocals, instrumental segments that normally would be out of place, and throbbing bass to shatter earwax. Production Line is a song that transmogrifies a muted trumpet and forces it into a echo-drenched dub-tinged stomper with a bowel-loosening bassline. Songs like this are notoriously difficult to pull off with aplomb, and always flirt with the dangers of sounding like a school choir trying something ‘edgy’. Ninjastep have got it just about right, tip-toeing down that tightrope that has idiocy on one side, depressing normality on the other, and a baying audience all around. Unusual and new. Posted on December 4, 2009 by Joe Sparrow. This entry was posted in Today's New Band and tagged mystery, not-quite-NOISE. Bookmark the permalink. ← >Volcanoes: Five Great Bands, One Super Price!